Ever wonder why there are light and fair skinned individuals who still consider taking glutathione as one of their daily supplements? I'm not sure if you will agree with me but not all 'mapuputi' have clear, flawless, porcelain, and glowing skin. Some women have pale white skin that is not flattering to look at. It's like they look 'sick' because their skin is pale and paper white. If you're to going to choose, do you like a pale white skin or glowing white skin from within? Let's change your idea of whitening with the new Met Tathione Reduced Glutathione with Algatrium Dietary Supplement. I presume all of you already know what glutathione is. It is considered as a food supplement here in our country while in Japan and other countries, it is a medicine that can cure serious illnesses. Our body is producing glutathione naturally but as we age, the production of glutathione slows down that's why our immune system weakens. Glutathione is called the master anti-oxidant as it protects our body from free-radicals. The whitening effect is the known side effect of glutathione :) I learned so many things about glutathione during our meeting with Dra. Cecille- Met's resident doctor. 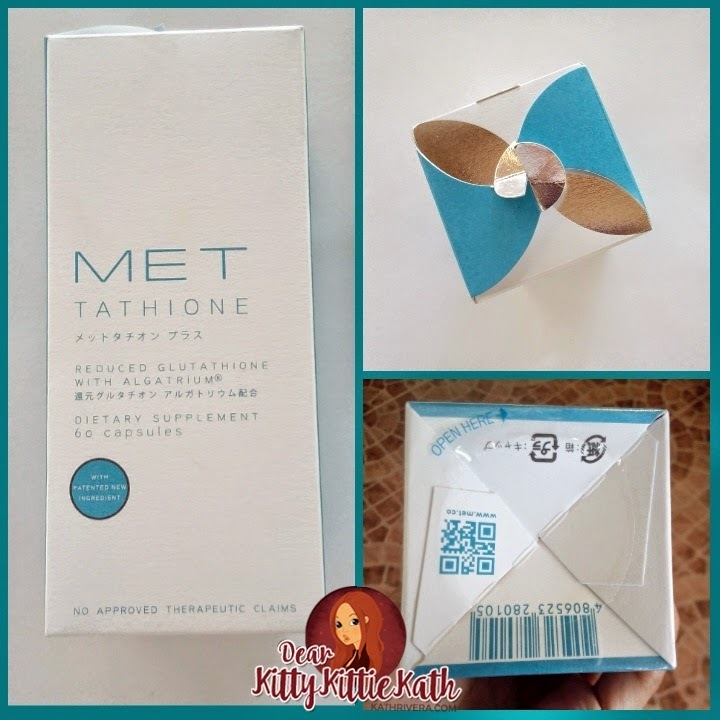 To know more about the new Met Tathione and why despite the price, I will still highly recommend it to everyone who wants to experience whitening at its finest :) More information after the jump! Met Tathione is a well-know brand of glutathione here in the Philippines. I can say they're one of the pioneer brands that's been commercially sold in pharmacies, drugstores and beauty stores nationwide. When you say glutathione, the first brand that will come to your mind is MET right? I've known this brand years ago but wasn't able to try it since I've read so-so reviews about the effects. My cousin have tried Met Tathione years ago with the first formulation and swears with the effects on her body as a whole, she took this not only to whiten skin but to strengthen her immune system. Even though Met Tathione had received some negative reviews in the past, I still believe that premium brands will give great results. Always remember that results vary from one individual to another, the effect of whitening may be fast or slow depending on the individual's body. If you smoke, drink, and have more toxins in the body from environmental pollution, chances are there will be a slower effect since the glutathione will protect you first from those free-radicals then with continued use of glutathione let's say for two more or more, the whitening effect will be seen slowly but surely. Met is a brand under Ivi Ryo Corporation. 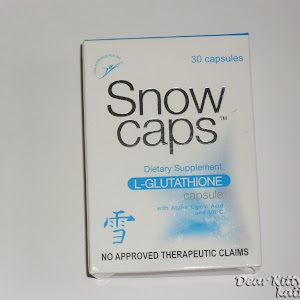 It is the pioneering brand of glutathione that brings you the latest in whitening: Algatrium. This product innovation makes Met Tathione three times more effective than the previous formulation in bringing out that radiant glow in your skin. It works from the inside out, giving you evenly toned and lighter, glowing skin in as little as two weeks. One capsule contains a potent formula of reduced glutathione and an imported new antioxidant called Algatrium. MET helps strengthen the immune system, removes toxins from the liver, boosts sexual potency, and protects the body from free radical damage. Reduced glutathione is the main ingredient in Met Tathione products. It is the safe and most potent form of glutathione that we need in our bodies. Glutathione is often referred to as the master antioxidant. It has many benefits that prevent oxidative stress in cells. The Met glow is not just from the skin but also from the overall benefit of glutathione throughout the body. Glutathione (Met Tathione) keeps the body healthy. Can prevent cancer, Parkinson's disease and multiple sclerosis in the long run. This product can help lessen the impact of age related degenerative disease in the body. White glowing skin from inside and out! instruction for use: As a dietary supplement, take (2) capsules daily after a meal. Ideally 30 minutes after so that there will be less to no stomach irritation. Protect product from direct sunlight and store in room temperature. Consume within (3) three months of opening. NO NEED TO TAKE VITAMIN C because there's ALGATRIUM already. TIP: You can take 1 capsule after meal in the morning and 1 capsule after meal in the evening or before bedtime. Divided doses makes it more easy for our body to absorb the supplement. After 1 month of taking Met Tathione, my skin is visibly glowing even though I only have 3-4 hours of sleep. The photo below was taken around 5 p.m. The lighting wasn't able to show how fair my skin is but there's a pinkish glow in my arms. NO FILTER! Met Tathione glutathione is FDA approved. The packaging is so classy. I like that it is repackage in a minimalist design. The design of the box and bottle packaging exudes what high quality Japan made products looks like. The box is sealed with plastic and the bottle opening is well-sealed also. The new Met Tathione is also available in two-capsule sachets. Great for trips. No need to worry about the extra bottle in your baggage. The new Met Tathione is in liquid softgel capsule form- this kind of capsule is easily absorbed by the body unlike the regular capsule. This liquid softgel capsule doesn't have funky or weird smell. The new Met Tathione is now combined with Algatrium, a component that can triple the glutathione production in the body. It is one of the most potent boosters available in the market today. Algatrium is a patented antioxidant found only in Met, first in the country making Met three times more effective! I did not complain of discomforts like vomiting, headache, nausea, breakouts or whatsoever while taking this supplement. No need to take a separate Vitamin C to boost the glutathione. Algatrium is more potent and will make absorption faster. So if you're acidic, this glutathione brand is for you. No need to worry about Vitamin C and the absorption of glutathione in your body. This brand made me feel sleepy which is good for me because I have a hard time falling asleep at night. I always wake up feeling refreshed and energize. My skin looks luminous especially in daylight. Made my skin less oily. Made my skin supple and plump. It lessened cystic pimples popping around my chin which I experience every month. No weight gain, bloating, or unruly cravings. I also look after what I eat so I guess the worry of gaining weight depends on the individual. I also exercise before I sleep. I have a small scratch on my knee became a scar. Taking Met Tathione plus applying my favorite whitening lotion lightened the scar a bit but I can say taking the glutathione made the skin renewal faster than the usual. Since I have fair skin, the scar is noticeable but after taking Met Tathione, the dark scar became less visible. Batch, manufacturing and expiry date printed on the package. The price is steep for budget conscious individuals and those with tight budget. I give this a 4.75/5 rating. I'm happy with results that I've experience with Met Tathione after taking it for a full month. I take the capsules in two divided doses because according to Dra. Cecille, absorption of glutathione is better in divided doses than popping it all at once. No need to take Vitamin C because Algatrium will boost the absorption of glutathione in the body faster. Less pill to pop because of that too. This post is getting lengthy already and I have more things to share. Comment all your questions and I'll base my answers according to what Dra. Cecille explained to us :) I'm relieve that there will be a professional advice or back up for those who wants to take glutathione but afraid of ingesting food supplements/medicine inside their body. DISCLAIMER: This product was sent to me by IVI Ryo for review. The views expressed here are my honest opinion about the product. We have different skin types, what works for me will not work for you or vice versa. Your skin looks amazing! Sounds like there's loads of other benefits as well! So glad this worked well for you! Yes, okay naman sya. Basta pagkabile mo naka seal pa din sa top tapos check din the expiry. Gel like kasi ang capsule nya so may tendency magdikit dikit talaga. I like your review maam, thank you. Will two weeks be enough to see any effects? It still depends, aside from whitening the first thing that you will notice is you have a sound sleep and you'll feel energized. Soft and smooth skin to follow. The glow usually starts from 2 weeks onwards then the whitening effect depends on your skin tone. I will still advise you to consult your OB. If not, you can take it both just give an hour or two interval. Thanks! Is it really not necessary to take vitamin C? I'm taking vitamin C po kasi regularly. So does it mean that is should stop? I'm only eighteen tears old, is it okay? You can still take vitamin C if you wish to. Yes, 18 years old is the advisable age. You can still take MET kahit araw araw ka naaarawan. Better use sunblock yung may spf 30 pataas. If naarawan ka tapos wala kang sunblock, hindi mo makikita ang whitening effect ng MET. Need talaga mag sunblock kahit pa umiinom ka ng whitening supplements. Tatalab ang MET still as anti-oxidant sa body like if smoker ka or lagi ka umiinom. Nililinis yung system mo, pero sa whitening part baka mabagal kung naarawan ka. Yup, for maintenance. Yes, you still may take Vitamin C.
Sorry to hear that. Some are breaking out din talaga sa Glutathione. Hindi lahat hiyang :( It still depends on your body. I'm not sure if you'll get breakouts with MET kasi in my experience wala naman. Hi! can I take up this supplmenet without doctor's prescription? (like a normal over-the-counter drugs) Thank you! This product is over the counter but if you have underlying medical conditions like i.e. you have diabetes or PCOS, better check your doctor first so he/she can give you an advise on how many dosage to take. But if you think you're in the pink of health, then you ma take it without consulting your doctor. Hi! Lahat ba ng parts ng body mag whi-whiten while taking this capsules TIA! Yes, lahat ng body parts possible to lighten pero one body part at a time. Yung mga extremities and unang nag-lilighten. Recommended usage is twice a day. Better divide it in 2 doses. One sa morning with 500mg Vitamin C and another one sa gabi before bedtime with vitamin C din. Hi I'm having chicken pox right now, and I bought MET to at least prevent scars from darkening. Hence I've noticed that they are fading without leaving dark spots on my face. I'm really impressed! Thanks MET! I'm going to stay loyal to this brand na. Hi Angeline! I suffered from adult chicken pox just 2 weeks ago and it was really bad it left me with red marks and scars on my face. Im still healing but I want to fast track it. Can you update me on your chicken pox marks and glutathione? Aww, hope you're okay now. Thank you so much for sharing your experience with MET. I'm glad that taking MET made your skin blemish-free even if you have chicken pox. Much better if 18 ka na, kahit naman ilang months na lang biologically hindi ka pa 18. It's my opinion lang naman, it's better safe than sorry right? Yes, pag matagal ka ng umiinom ng met. Pero regarding the pimples may tutubo at tutubo pa din kahit 1 or 2. Minsan kasi mahirap paputiin ang tuhod and siko. Makakatulong yung met pero need mo din gamitan ng topical ointment like whitening soap, lotion, or cream everyday. asked ko lang po nakakatulong din po ba to para mawala yong dark spot or scar??? nagka chickenpox po kasi ako last year then i was pregnant on that time kaya di ako pwd uminom ng kung ano-ano. Then ngayon nawala ung self confidence ko because of peklat in my whole body, super dark spot. If your problem is yung scar mo, you need to apply topical ointment para sa scar. I had chicken pox din before and sad to day hindi sya nawala, as in medyo malalim pa din ng konti pero nag-lighten so less visible. Hindi maalis ng MET and scar kung malalim. If matagal ka na umiinom ng MET and pede nya lang gawin is i-lighten kung maiitim yun. Pede mag-lighten and dark spots. Hi ate ask ko lang if pwede uminom ng met kahit anemic ka. With regards to your question, I'm not really sure kasi there's a parameter to diba para masabi na talagang anemic ka. For this, I suggest na have a laboratory to check your hemoglobin muna and better consult a doctor first before taking any kind of supplements because of your condition. Ask q lng hOw about gusto q mag take ng Met tpos nahiyang aq then mga ilang mos. Lng gusto q na mag kababy ulit, pwd ba ituloy ung pag take or should i stop nlang? You can take MET as long as hindi ka pa pregnant pero if you want to have a baby consult ka muna sa OB mo if need mo mg stop mag-take ng mga supplements na iniinom mo. Better na magpa-consult ka kasi iba-iba din ang reaction ng supplements sa body natin. Hi tanong k lang po kung nag tetake po kayo ng met eh pwede kayong uminom ng laxative?? Like biguerlai?? Better take laxatives at bed time na kasi they can decrease the effects of glutathione pag nag-take ka agad. Better give a 6 hours interval before ka uminom ng laxative. MET is for skin whitening and detoxification. You have to apply topical ointment for scars. If malalim, hindi kaya ng topical ointments. If dark marks yan caused by pimples, pede naman pero more than 1 bottle ang dapat mo ma consume. 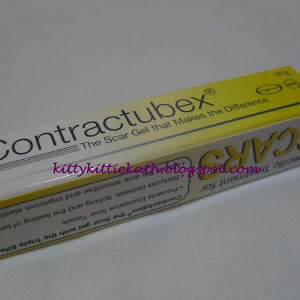 If the scar is deep, try contractubex basta 2 years and below ang age nya. But hindi nya talaga maaalis yung scar, ma lilighten nya lang. If hindi talaga scar na parang crater, darkening lang pede na ang MET but you also need to use topical spot ligthening products.You can benefit naman with MET for other purpose if not ummeffect sa scar mo. Hi is there any age limit upon using met? I'm 45 yrs old and I want to take met... Please advice.. There's no age limit but be sure to consult your doctor because of your age before taking any kind of supplement. That's the dose for maintenance unless your have fair skin na. Usual dose is twice a day talaga for three months. Ok lang ba mag take ng met kahit may fatty liver? My apologies if I cannot answer your question, wala kasi ako idea on that. You may consult with your doctor first para sure po. Good day Ma'am. If ever I'll stop taking MET will i become darker than the original skin tone i have? Thank you. If you stop taking MET chances are you will go back in your original skin tone. But if you're not that dark naman, hindi naman darker pa BUT it depends on the kind of maintenance you'll do sa skin mo pag hindi ka na umiinom ng MET. If hindi nag susunblock tapos lagi ka naarawan, pede na mas umitim ka pa. Other than that, yung totoo mo kulay lang yung babalik sa pag stop mo. Yes but be sure to give interval. okay lang ba isabay ang met ng myra e? Hi mam kath. 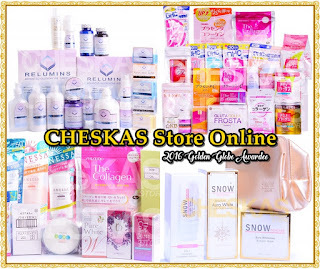 Ano po bah ang ma eh recommend nyo sa akin gusto ko po kasi maging clear ang face ko. Nahihiya po kasi ako lumabas kasama ang mga kaibigan ko.Ano po bah Na glutha ang ma recommend nyo sa akin and san ko po bah Ito mabibili and how much po.? Depende yan sa budget mo. Usually sa online mabibile yung Ishigaki- cheapest and effective din. Pero if you want premium na effective tapos mabibile sa Watsons or Mercury, I suggest MET. Hi Ms. KAth, kaya bang itreat ng MET ang pimples? like cyst acne? if I will take Met for the first time, hindi ba ako magkakabreak out of pimples? kasi with my experience of Ishigaki nagkabreak out ako, hindi naman ako nagkakapimples masyado pero nung triny ko yung ishi bigla akong nagkapimples ng malalaki at sobrang dami, kaya i quit using it. Sa MET kaya hindi ako magkakabreak out, does it help to cure my break outs cause by ishigaki glutathione? For some, nakak clear ng skin ang MET pero personally di ko na experience yun kasi nagakaka pimples lang ako pag may period. Yup, meron mga nagtatake ng Ishigaki na prone sa breakout. I cannot assure you na hindi ka magkaka break out sa MET, it's a trial and error din kasi. hi! is it okay for me to take MET even though I am a lactating mom? I would suggest not, better for the sake of your baby even if they say it's okay for lactating moms to take glutathione. It's better safe than sorry right? Hi Ms kath, i have pcos and was taking birth control pills (althea) pero nagstop ako 5 years ago na kase lalo ako nagkakapimples. Haven't consulted my OB since then kase i moved out of the place. Is it okay to use Met? Better check with your OB yet just to be sure. But you can try MET naman kasi may tinge sila or individually packed capsules (2 pcs) yun para you can try lang muna let's say 5 days or 1 week. hi ask ko lang po kung pede pagsabayin ang met at unwhite? Hindi ko alam yung unwhite so wala ko ma-cocomment if okay kasabay yun sa MET. Pasensya na if hindi ko masagot yung question mo. Thanks! If acidic ka sure na sasakit tummy mo but you're taking Fern-C naman so dapat hindi sumakit tummy mo kasi non-acidic yung Fern-C. Siguro need na full ang tummy mo pag-iinom ka ng MET. Okay lang kahit hindi naka aircon basta wag ka magpapa-araw ng matagal. Need mo mag-sublock and lotion lalo na summer na. For sensitive skin try mo yung Celeteque Brightening Lotion but use sunblock pa din. I suggest Belo Sunexpert yung Sheer Spray na sunblock. Try Nivea Whitening lotion or Belo Kojic + Tranexamic Acid Lotion. Sa soap naman kung sensitive skin mo try mo yung Japonesa soap. You can buy that sa Unimart Greenhills. Need mo pa din mag take ng Vitamin C. You can take it naman with Myra- E.
Hi Ms.Kath, im taking eltroxin as maintenance for my thyroid, oks lang kaya magtake ng MET? Want to try kc ive read that its good for the liver? Di ba sya magkontra sa eltroxin? Thanks much! I'm not sure if pwede kasi hindi naman ako nag-take ng eltroxin before and I don't know if may contraindication ang MET sa medicine na yan. Better check with your endocrinologist first before taking MET just to be sure. Pasensya na hindi ko masasagot yung question mo. pagnag stop ka ba lalo kang iitim ? pagnaaarawan ka ba bumabagal yung pagputi? 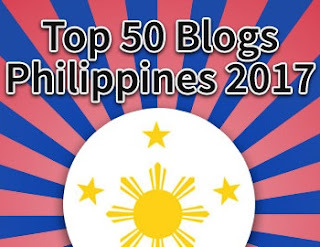 I really love this blog very informative..ask ko lng ms kath is it okay to take met without taking vit.c?im taking conzace everynight ok naman ang effect niya sa akin..kaso napapadami yung kain ko..huhuhu..what is the best vit.c na pwedeng isabay sa met?gusto ko kasi e try etong met i have dark skin since i was young.. Thank you so much for the kind words. You may choose not to take vitamin c since it has Algatrium na but to be sure mas okay to take vitamin C na din. If you're taking Conzace, okay na yun kasi may vitamin C din naman ang Conzace. Any vitamin C will do naman. If acidic ka try sodium ascorbate pag hindi naman yung regular vitamin c okay na. Im starting to take met kaninang umaga..hehehe..i hope this will work with me.thanks ms kath for replying my question.ms kath uhm ok lng ba na fruits lang kakainin ko sa gabi then after 30 mins take ko ung met? Yes, the effect will be slow and gradual but if you take it for let's say six months to one year. You will still see the effects naman. Helow po ask po aq if.my congenital heart disease ka po safe po ba na mag take ng Met? I will recommend you to ask your cardiologist on this matter as I don't know if safe mag take ng MET lalo na sa ganyang condition. Pasensya na, hindi ko masasagot ang tanong mo. puede po bang mag take ng Met kahit may ini inom na gamot para sa high blood pressure? Better check with your internist or cardiologist first kasi iba iba ang reaction ng medicines. Pwede ko sabihin na okay pero hindi ko naman nasubukan yung medicine for high blood so baka instead na okay mapasama pa. Pasensya na kung hindi ko masasagot ang tanong mo, you need an advice coming from a doctor. It's better be safe than sorry right? Yes, in my case naman ok lang mag take ng pills and glutathione basta hindi sabay ng time ang pag-inom. Hi po. Pde ho bang mag take ng MET in alternate day? Not daily but 2 capsule parin. Yes, pwede naman. Yung iba para makatipid ganun ang ginagawa. What if i stop taking met after ko ma achieve ung desired lightness ng skin ko? Babakik b ung original skin tone ko? Yes, babalik sa dati yung skin tone mo if hindi ka gumagamit ng sunblock tapos lagi ka nag-papa araw. If hindi naman fair ang skin tone mo tapos nag stop ka chances are babalik ka sa dati mong color kaya you need to maintain drinking MET. Yes, may chance na bumalik ang dating skin tone and dryness ng skin mo. If lagi ka nagpapa-araw tapos you're not using sunblock. If sa dryness naman need mo gumamit ng lotion if hindi ka na nag-take ng MET. This should be taken continuously to achieve good results. If na achieved mo na yung skin tone na gusto mo, you can take one capsule a day na lang. Depends din s lifestyle mo yung pagbalik ng dati mong color. Both are okay with me. If you have budget and want a FDA approved supplement try MET. Pero pag nagtitipid ka, take Ishi Premium pero hindi FDA approved. Magka-iba din kasi ang content nila. Sa MET kasi may Algatrium, kahit hindi ka na magtake ng Vitamin C or once ka na lang mag Vitamin C while sa Ishi Premium, may NAC na booster din naman ng glutathione. hi.just want to ask if Met has an Estrogen or Progesterone content? Hi Ms. Kath, ask ko lang po what's the best lotion and body soap to prevent skin dryness and to have whiter and glowing skin.? As for now, i can't afford to have MET pa kasi. Thanks po. There are many nice soaps and lotions eh. Wala ko masabi na best kasi I can recommend one or two brands. That will depend na lang sa skin mo, kung hiyang ka or hindi. As for the lotion you can go for Belo, Nivea, KB and Celeteque sa soap madami din. Belo, Japonesa, Japan Yamashiro, Mischka and snoe. Depends na din sa ingredients na kasama ng mga soap. Hi gusto ko pong bumili at gumamit ng MET THATHIONE, tanong ko lang po kung wala bang side effects ito? Salamat po. Ang side effect ng glutathione is whitening. It's an anti-oxidant. It's a food supplement. Usually side effects naman lumalabas lang if may existing na sakit na before uminom ng food supplements or you're taking medicines na may contraindication. Saka pag sobra, masama din. Hi Miss Kath, you recommended 2 capsules a day, is it still ok if 1 capsule a day, eeffect po pag ganon? 1 capsule a day kasi is for maintenance lang. if you're fair naman, pede na ang 1 capsule a day but be sure to use sunblock and other protection kung magpapa-araw kasi kasi wala din effect yun sa whitening. 2 caps a day talaga ang dose. Does it also lighten underarm? Since the effect naman sa whitening will start the upper and lower extremities (Arms, Legs, Face) usually anf pagputi ng underarms pag matagal mo na tinetake yung supplement. Both if the underarms are very dark talaga, mas okay ang topical creams and ointment to lighten it. hi pwede po multivitamins like enervon the MET? thanks or vit c lng po tlga? Pwede naman kaya lang Enervon has other vitamins like Iron and Vitamin B diba? Much better siguro Vitamin C lang talaga baka kasi if 2 Enervon i-take mo a day, sumobra ka naman dun sa dosage ng ibang Vitamins na kasama ng Enervon. hi po.. first time ko pong mag take ng gluta and met po ang binili ko.. 3rd day ko plang mag take.. ask ko lang po is it ok po na e take sabay2 ang 2 met and 1 ascorbic acid? tinitake ko po after brekfast. pls answer po.. thank you.. its debbie po. Much better if divided dose. 1 Met + Vitamin C sa Morning then 1 Met + Vitamin C sa gabi. Or if you can't take 2 Vitamin C kahit 1 Vitamin C lang sa morning. nakakaalis dinbato ng acne sa likod at acne scars? In the long run pwede if you'll take it regularly pero pag worse case and acne better consult a dermatologist kasi she will prescribe oral supplements for acne. Better take it twice a day, in divided doses. Any Vitamin C will do. I take Potencee, Fern C, Cosmo Cee, generic vitamin c. Actually any brand basta 500 mg.
hi po.can i take Met with Vitamin C and Myra E? Hi miss kath im taking met 3x a day dn follow with vit.c 5 na but i cant see lighter in my skin pa morena kasi ako puputi pa kaya ako? Tnx! Ilang months ka na nag-take? If morena kasi usually mga 3 months and up bago makakita ng results. Depende din kasi sa lifestyle mo, if lagi ka nagpapa-araw bale wala din. If morena ka, dapat take ka ng 6 months straight. In my experience naman wala ako na feel na nahilo or headache. But sa iba may ganyang reactions especially kung first time mo uminom ng supplement. Stop mo muna and try mo ulit. Pag ganun pa din try to consult a dermatologist. Pwede na hindi ka hiyang sa MET. Is it ok if i will take it once a day.. If you already achieved your skin tone and have fair skin to begin with, once a day is okay. It's for maintenance. But if once a day then you're a morena, the effect will be really slow. Hello ate Kath.I almost taken for 2 weeks na but I can't seen the result pa, then why I can't sleep. I'm going to school next week and I'm afraid maybe it will affect. Thank you. It depends on your skin tone to start with. The effect also depends on your lifestyle. Do you use sunblock when going outside? If you can't sleep better stop taking it muna and consult a dermatologist. In my case kasi wala naman ako na-feel na ganyan during the time I'm taking it. Hindi. Minsan may ganun sa iba, pag hindi talaga hiyang nagkaka-pimples. Ito po bang MET e aabot for like three months? Good for 1 month yung isang bottle. For some kasi mabagal ang effect, saka hindi talaga pare-pareho. Not sure with Instant I LiteFX kasi hindi ko alam kung anong supplement yan. 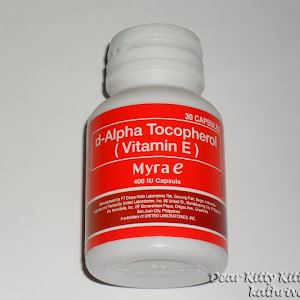 Hi po pwede po bang ang i take ko lang ay 1 met+ 1 vit c sa mornibg and 1 myra ee sa gabi para makatipid. And my marerecomend po ba kyo na collagen capsule na brnd at mabibili sa drug store? Pwede naman if nagtitipid ka talaga pero mabagal results nun. Wala ako masusuggest na collagen capsule kasi hindi pa ko naka-try ng capsule. 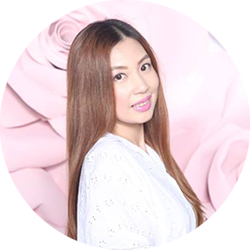 More on powder lang ang na-try ko like Belo Collagen, Meiji Collagen, Cosmo Collagen. Hi pwede po ba mag take ng met Kung lalake at 17 yrs old. Pwede naman. Mas okay pag 18 ka na. Tama naman yung dosage sa morning kaya lang sa evening parang sobra unless you want to whiten faster. With regards to drinking green tea naman wala naman effect yung tea unless it has a laxative effect on you. You're much welcome! Itong MET po ba is the same thing as ROYALE L-GLuta Power? Nagtry po kasi akong uminom nitong Rorale, and mejo effective naman so far. Mauubos na kasi ung last bottle ko, I am planning to switch to MET. Nakita ko po dito na kapag uminom ka nang MET, recommended to take VIT C? I used to take Viterra (Vitamins equvalent to CENTRUM) complete vitamins naman sya, technically with VIT. C, so kung mag switch ako sa MET okay na ba ung VITERRA na kasabay nya? I'm not sure if same sila kasi hindi ko pa na-try and ROYALE L-GLuta Power. I don't know din yung ingredients nyan kaya hindi ko masasagot yung tanong mo. With regards to Vitamin C naman okay lang as long as 500 mg to 1000 mg a day yung vitamin C na itatake mo. 1 Met + Vitamin C yung pure lang if meron ka sa morning and 1 Met + Viterra sa Evening. Pwede din kahit wala ng Vitamin C yung sa morning basta sa evening may kasabay na Vitamin C.
Hi Kath! I purchased this 3 days ago along with vit. C for two weeks trial and I love the result because my skin is becoming glowing white. Dati kasi di pantay yun skin ko yun Maputi Lang yun legs, Tyan at dibdib ko but yun face ko at arms ko parang Morenang tuyo sempre Dahl sa init ng araw but nun na try ko na to twice a day with vit.c mabilis yun result. 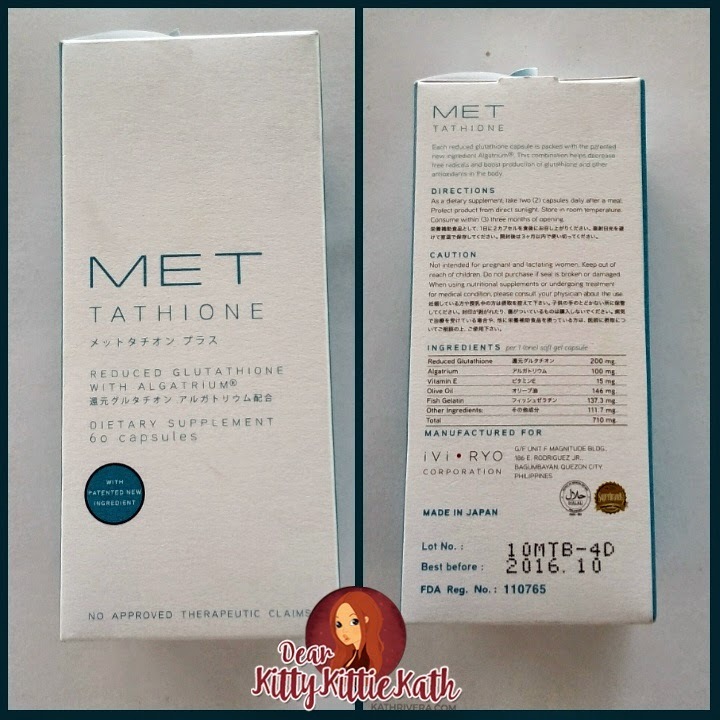 Very thankful ako dito sa review mo about sa met tathione Dahil it's very Informative and I feel safe before I buy this product Dahil xmpre nag iingat ako but now the results is guaranteed I will buy a bottle of met tathione as my beauty regimen to keep me healthy and glowing. Hi Ms. Kath. I just want to ask if this MET THATIONE is applicable only for women? Men are not allowed to take it? Thank you. Can be taken by both men and women. hi. ask ko lang po.. may mga freckles po ako sa braso and balikat, minsan nag try po ako gumamit ng peeling lotion sa arms ko. nag peel nman po sya then pumuputi nman po ung area na nag-peel, kaya lang hindi nman po nag-lighten ung mga freckles ko. Ngayon po, im thinking na gumamit na ng whitening supplement like Met po. May possibility po kaya na maglighten ung mga freckles ko since ang sabi nga po eh "Glowing Skin From Within" :) then it will reduce the melanin in our skin daw po. Yes, it will lighten pero visible pa dn. I still have freckles on my face kahit gumamit may face powder ako kita pa din unless I use a concealer. Give it a try and see pero hindi sa isang bottle lang, dapat i-maintain mo talaga. Ako kasi I've accepted na hindi na mawawala ang freckles ko, pina-check ko na din sa derma, pwede mawala pero babalik at babalik pa din talaga unless I go for laser treatments or other kind of dermtological procedures. Hi ma'am kath,nagtatake po kc ako ng biguirlei and myra-e bfore bedtime,pwede po kaya sa mrning 1 met+ascorbic acid and then bfore bdtime 1met+1myra e+biguerlei?contra po b ung met sa laxative? Don't take biguerlai together with MET or any other kind of supplement na sabay sabay. Since it's a laxative, ma flush-out din yung mga ininom mo na supplements. Unahin mo i-take yung supplements sa gabi then after 3-4 hours saka mo i-take yung biguerlai. Is smoking contraindicated po ba while taking met? How about drinking alcoholic beverages? Will it slow thw whitening effect? Hindi naman nakasulat sa packaging pero according to Dra. Cecille Mas mabagal ang effect sa whitening if you drink and smoke talaga. Manga Magkano po kada isang capsule? Itatanong ko lang po kung gaano katagal ang pweding paggamit ng MET? Gaano po siya kabilis umeffect? What age po pweding mag start uminom ng MET? Thank you. Since this is a food supplement, you can take it naman kahit hanggang kelan mo gusto. Pwede din if na achieve mo na yung color mo mag-stop ka na or gawin mo na lang once a day. Depende kasi sa skin tone and sa lifestyle and bilis ng effect ng MET or other whitening capsules in the market. Some experience whitening as early as 2 weeks while others after finishing a bottle pa. 18 years old to be safe. Booster ng glutathione ang vitamin C. You can take any kind. Wala ako marerecommend na best Vitamin C kasi ako kahit anong brand okay kahit yung mga generic okay din. I'm sorry to hear what happened to your skin after using all the products on your face. Actually, using sunblock every day will really help in protecting your skin. Regarding the syringoma, I have no idea if glutathione can help but it can help you lighten dark spots and oily skin. The effect of MET depends on your body, skin color and lifestyle also. 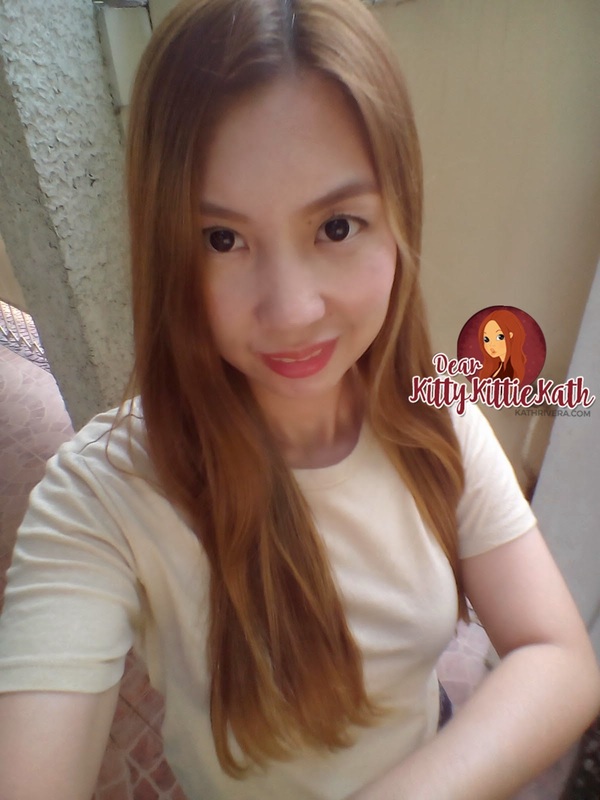 I have made a review of other gluta products, kindly check na lang which one fits and suits your budget. Yes MET is expensive talaga but this one is FDA approved and ingredients are sourced directly in Japan. Hi po ka start ko ng take ng MET today. Pwd po ba one MET w vitamin C sa gabi at 1 vitamin C lng sa morning? Ilang buwan kya mkita result kasi balak ko till decembet lng ako mgtake ng MET my result na kaya? At mglipat po ako yung gluta na injectectables safe po ba un? Hoping your reply po. Thank u. That dose is for maintenance stage already. Hindi ko masasabi kung ilang buwan bago makita kasi depende din sa skin color and lifestyle mo yan. If nag smoke and drink ka ng alcohol regularly, mas mabagal ang effect. Regarding sa injectable, hindi kita masasagot kasi hindi ko pa na-try yun. Thanks! hi po! ang anak ko 4 years old na pong dumedede sakin po..pwede po ba na magtake kahit lactating mom po? Hi kath its may first day to take MET. I'll get back to you after 2 weeks or if any difference for added info. Good day! Thank you so much for sharing your first day journey of taking MET. Kindly update us after two weeks. Hi is it okay for a 15 year old female to take met? 18 years old advisable age to take this kind of supplement. hello interesado ako sa MET i'd like to buy. How much kaya ito?god bless.. It's already written above- Php 2,695 per bottle of 60 capsules. Thanks! Hi kath. Which is better, Snow Caps or MET? Thanks for your reply. 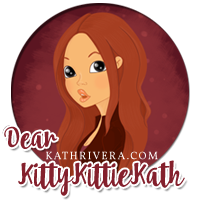 Hi kath! Just wanna ask if there's a big difference between taking it twice a day and once daily? Just in case, if I'm going to take it twice a day for the 1st month, is it okay if I'm going to take it once daily for the 2nd month onwards? Yes. If kakaumpisa mo lang you need to take it twice talaga. Yung once a day dosage is for maintenance na lang or once you have achieved na yung desired color mo. 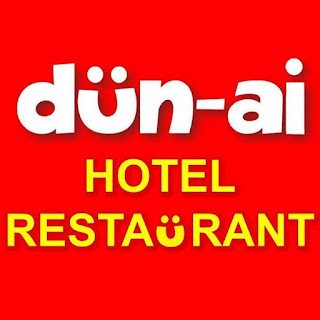 Ask ko lang po kung hndi ba nakakabaug ang met ? My nagsabi lang po kse sakin ? I don't know about that. Better ask an OB-GYNE para may back-up yung answer sa question mo. But some are using glutathione to increase fertility pa nga. Hi ms. Kath! 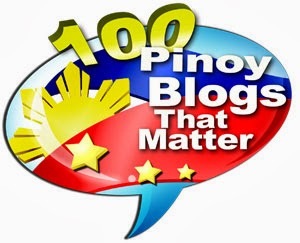 Thank you sa blog mo..yun mga tanong ko na answer na po sa ibang ng aask po..prang same lng yun worries nmin po.. Yes pwede naman. If you have the budget why not but 2 caps a a day talaga ang dosage for the first 3 months. Hi. mam kath matagal na ko nag titake ng kb capsule ung with vitamin c ng kasama, almost 3yrs na..pero morena padin ang skin ko.. at wlang nag sasabing pumuputi ako ang napansin ko lang is smooth ung skin ko...pag nag switch ba ako sa met. My mkikita ba akong kaibahan pag met na ang gnamit ko? planing ko kc bumili today and ok lang ba kht my period uminom ng met? If ever na iinom ako pwde ko bang gawing 2met capsule+ 500g vitamin c, in the morning then sa gabi ganun din. 2met capsule+ 500g vitamin c,In the evening? i highly appreciated ur response thankyou. Not sure why hindi ka pumuti sa KB kasi hindi ko naman na try yun. Hindi ko din alam kung anong ingredients nya so hindi kita masasagot regarding that. Wala ako mabibigay na assurance na pag uminom ka ng MET eh puputi ka agad. All the things I said here is based on my personal experience. Magka-iba kasi tayo ng metabolism and body composition. If you drink, smoke, and late matulog or lagi stress ang tendency ng gluta is to detoxify those kaya hindi na masyado napupunta sa pagputi ang effect. Regarding your dose, not sure kung okay yan kasi parang sobrang taas naman. 4 MET a day ang pagkakaintindi ko. Better consult the pharmacists or a doctor for right dosing. Usually kasi 2-3 caps a day lang ang alam ko talaga. is it safe to take MET if you have thyroid condition? With Thyroid condition, you have to check muna sa OB mo para mas sure. Or kahit sa Medical doctor lang. It is better safe than sorry so pa check mo din muna before taking any kind of supplements. Hi,Ms.Kath.ask Ko lang if safe ba mag-take Ng Met kapag Yung iinom eh may HEPA B.? It's better to ask your doctor muna since Hepa B is a serious liver disease if I'm not mistaken. Baka kasi if you take MET mag-contradict sa iniinom mo na medicines. If you're already white na, okay na ang once a day para maintenance. If you're not into whitening naman more of anti-oxidant or as vitamins lang, pwede na once a day. Hi Ms. Kath, ok lang po ba kung pagsabayin ko amg MET amd pag inom ng collagen drink powder? Yes, okay na okay. Mas maganda ang result nyan. I'm taking MET for 3days pa lang. Pwede pa din po kaya magtake ng Myra E at Stresstab? For now kase nag stop ako sa Myra E, ang iniinom ko lang MET at stresstab. I'm smoker too. Any advice or opinions Ma'am. You can take MET, Myra E and Stresstab pero dapat may interval sa pag-inom. Okay din ang MET and Stresstabs na sabay pero magkaiba ng time. Twice a day pa din ang MET tapos once a day lang yata ang dosage ng Stresstabs. is it ok to take MET if stop breastfeeding?? Yes mas okay pag hindi ka na nagpapa breast feed. Pwede naman both. Sakin kasi walang best time, before or after naman saw the effects when I was on MET. Yes, pwede naman no need to take Vitamin C because of Algatrium but mas okay talaga ang may Vitamin C para na din sa other benefits. Hello po.. okay lang po ba pagsabayin inumin yung doxycycline (for my acne) and glutathione? Tia..
Hi, i'm 20 years old. Can i take myra e and met at the same time? Thank you! !